More than 8 hours were necessary to remove solvents of rich-liquid sample by a centrifugal concentrator. In addition, in concentrating process, there was a risk of decomposition of the target compounds by increasing the moisture content. 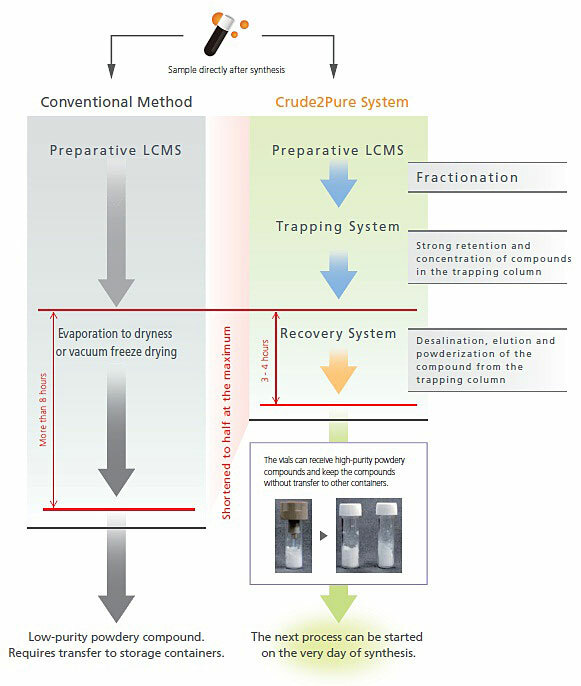 The Crude2Pure system can powderize in only three to four hours and it is possible to reduce the risk of decomposition by moisture.